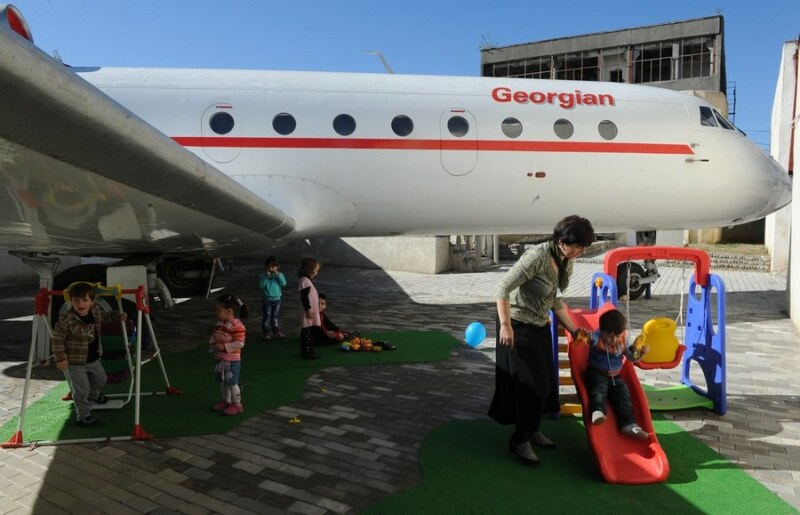 Children playing near a Soviet-era Yakovlev Yak-42 plane which has been turned into their kindergarten, in the Georgian city of Rustavi on October 29, 2012. 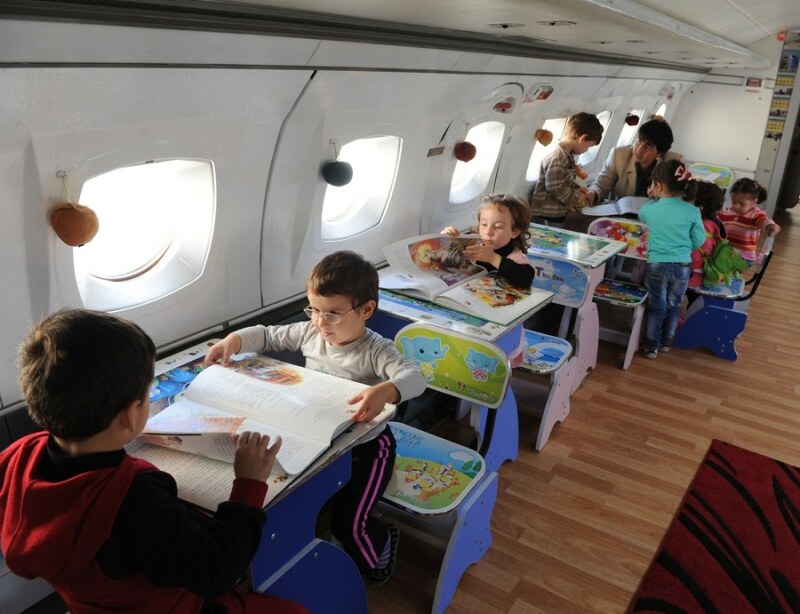 Agence France Presse reports — A headteacher in the Georgian city of Rustavi has found an unusual way to get children's early education off the ground -- by transforming an airplane into a kindergarten. 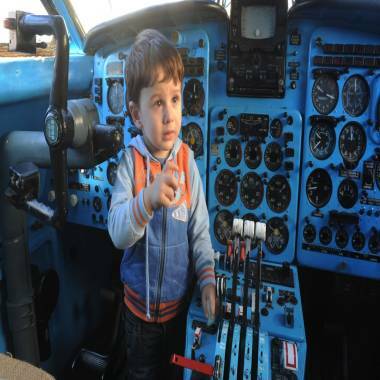 Gari Chapidze bought the old but fully functional Yakovlev Yak-42 from Georgian Airways and refurbished its interior with educational equipment, games and toys but left the cockpit instruments intact so they could be used as play tools. "The idea was to create a kindergarten where children go with joy," Chapidze said. Read the full story. 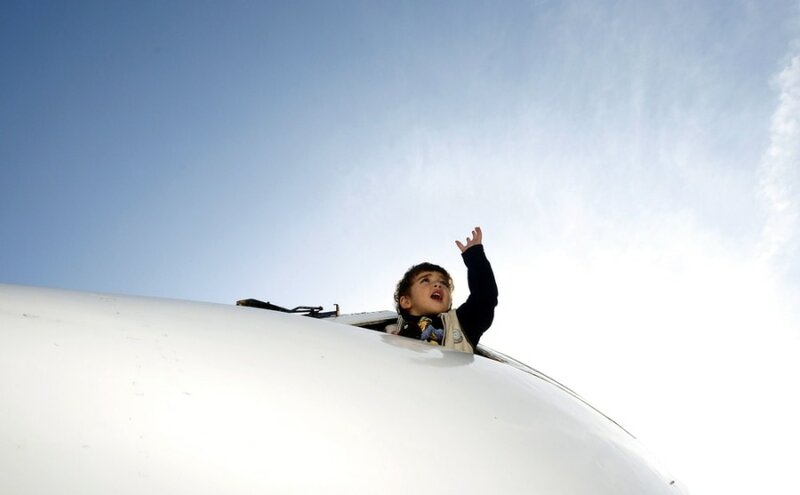 Previously on PhotoBlog: What's it like to live in a retired Boeing 727?